These few pages offer a brief glimpse into the history of the parish of Hodnet. This is not an attempt to give an exhaustive account of the area’s past. However, if anybody has any information (especially on areas not mentioned) or old photographs of life in the parish that they think may be of interest to others, please contact the web-team. Hodnet and Peplow feature on the BBC’s Domesday Project Reloaded website. Our report on the content of these pages can be found here. Direct links to the two relevant ‘D-Blocks’ are Hodnet & Peplow. Eyton. R.W. (1859). Antiquities of Shropshire VIII. John Russel Smith. Garner. L. (1994). Churches of Shropshire. Shropshire Books. McBride. B. (2nd ed.1993). A History of Hawkstone. MPS, Shrewsbury. Meech. J. ( 2000). Shropshire Towns and Villages. Sigma Leisure. Mothershaw. G. (2000). 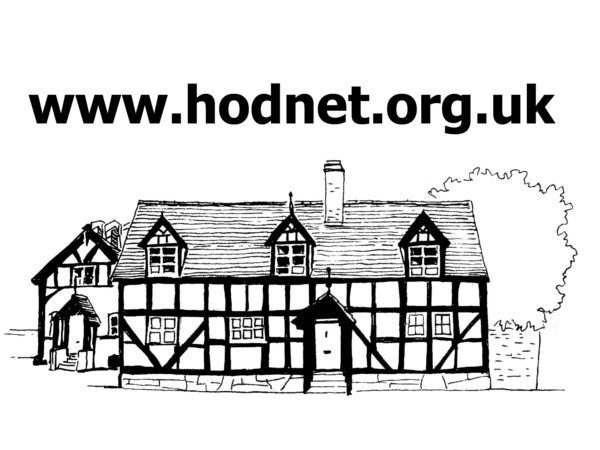 A Brief History of Hodnet Township from 1066. Self published. Neal. T. (2005). Shropshire Airfields. Langrish Caiger Publications. Raven. M. (2005). A Guide to Shropshire. Michael Raven Publications. Shropshire Railway Society. (1989). Shropshire Railways Pictorial. Shropshire Books. We are also grateful to the late Gerald Mothershaw for providing information on the village of Hodnet . Thanks to Jenny Morgan for providing information on Wollerton. Thanks to Janice Parker and Glenys Comerford for Hodnet – A Miscellany of Memories.